Mapping provides a very cost effective way of further evaluating individual sites through to large subdivisions, identifying and delineating areas of concern such as slope instability, problematic ground conditions, and previous land use that can be invaluable when it comes to understanding and predicting the behaviour of the ground during subsequent development. It is also essential when targeting our site investigations to ensure they return the most pertinent information on the site. We undertake site investigations for all manner of sites, from the individual house plot, through to large scale land development schemes. We employ commensurate techniques of investigation, including hand augers and Scala penetrometer equipment undertaken by our own field staff, through to supervision or commercial drilling and CPT rigs for projects where deeper investigation is required. Developing a robust ground model for any site, regardless of its size or complexity, is essential to ensure appropriate engineering design is adopted to address the ground conditions and the sites’ geological development and history. The ground model is the culmination of the desk studies, mapping, investigation, interpretation and engineering judgement, which enables the most appropriate design parameters to be assigned and engineering solutions to be tabled. Where necessary, GCL will undertake numerical slope stability and settlement analyses of the more complicated sites, to ensure that the site under investigation is deemed safe and stable for subsequent development or construction. GCL provides site specific geotechnical interpretive reports detailing our site investigation work, assessment and analysis that culminates in recommendations being made for foundations, slope stability, retention structures and earthworks, all of which allow the civil and structural consultants to design appropriately. Our reports are also tailored to provide sufficient and pertinent information for the Resource Consent processes. Our service doesn’t stop with the reporting. We can provide further support to the client and contractors on site by undertaking construction observations and field testing to approve the progress of a construction project and its alignment with the geotechnical recommendations and consent requirements. 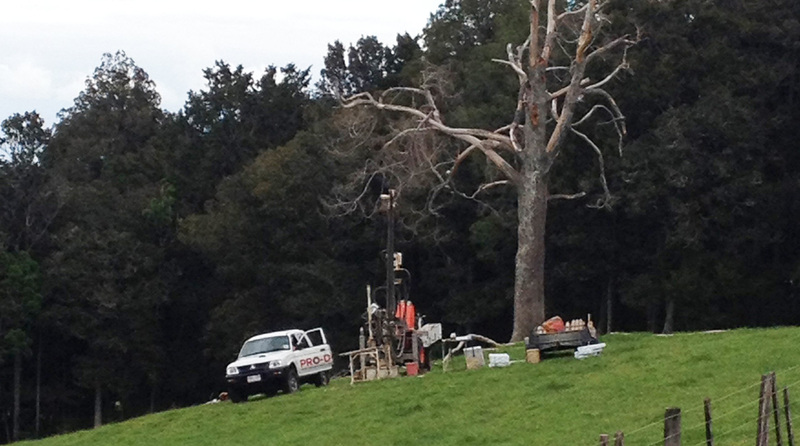 GCL can provide Geotechnical Completion Reports whereby we certify the finished works for any project as well producer statements (PS1 and PS4s) for Auckland, Waikato and Bay of Plenty based projects. Our Principals are experienced and well practised in providing both independent and peer review for geotechnical investigation and reporting. This includes preparation of Peer reviews and undertaking the role of Expert Witness aligned with IPENZ Practice Note 02.